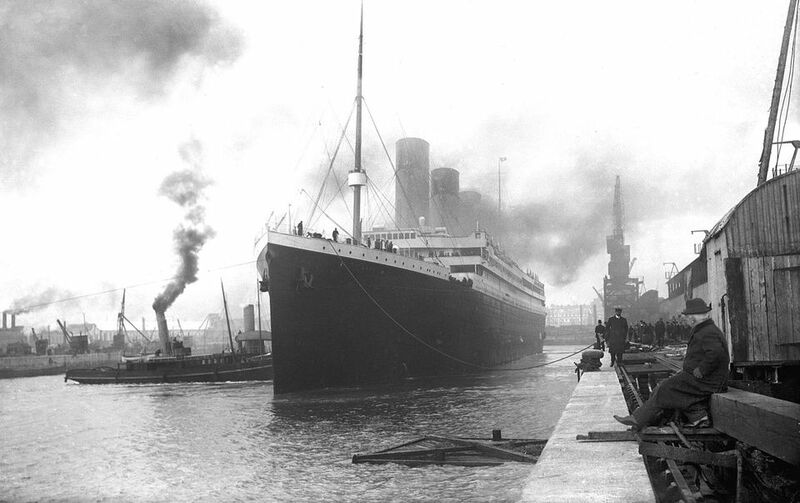 On her maiden voyage from Southampton, England, United Kingdom, to New York City, which began on April 10, 1912, the RMS Titanic hit an iceberg in the North Atlantic and sunk early on April 15, 1912. The sinking of the Titanic is one of the most infamous events of the modern age; about 1,500 of about 2,220 passengers and crew perished when the Titanic sank. This is one of the sea's biggest tragedies and inspired the eponymous 1997 movie starring Leonardo DiCaprio and Kate Winslet and countless documentaries and books. There are many exhibits and places to learn more about the Titanic throughout the United States. If you or someone you know is obsessed with the famous film, taking a trip to a museum to learn about the true story is sure to be interesting. For even more Titanic lore, check out the Encyclopedia Titanica. New York City was where the Titanic was bound for, and it has at least three places where you can learn more about the ship. The Titanic Memorial Lighthouse is in Lower Manhattan at the intersections of Pearl and Fulton streets outside the South Street Seaport Museum, which now owns the lighthouse. Dedicated on April 15, 1913, one year after the sinking, the now-historic lighthouse pays tribute to the passengers, crew, and officers who died. Further north in Manhattan, on the Upper West Side, is Straus Park, which contains a 1913 memorial to Ida Straus, wife of Isidor Straus, a U.S. congressman. The memorial is dedicated to the honor of Ida Straus because she decided to stay with her husband rather than board a lifeboat to safety. She continues to be honored for her brave dedication. Finally, visit the Jane Hotel, once known as the American Seaman's Friend Society Sailors' Home and Institute. Surviving crew members of the Titanic were put up here after the tragedy. The National Museum of American History, a Smithsonian Institution Museum, contains several Titanic artifacts on permanent display across several of its exhibits. Some of the more poignant relics include photographs and a life vest. Washington also has a memorial dedicated to the victims of the Titanic disaster in its southwest quadrant at Fourth and P streets. 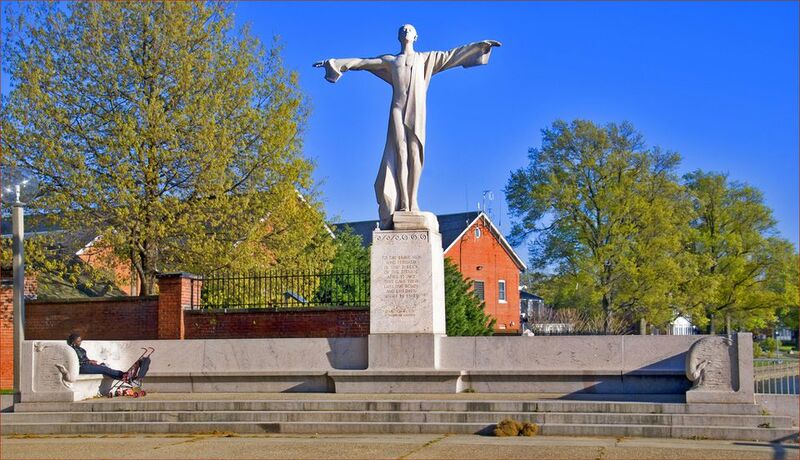 ​The Women's Titanic Memorial in Washington Channel Park was erected in 1930. The nation's first Titanic Historical Society was established in Indian Orchard, Massachusetts, in 1963. The small museum that has branched out of the historical society's collection of Titanic artifacts includes the life vest worn by John Jacob Astor, models of the ship and its rudder and propellers, and personal objects like clothing, coins, and letters. Branson, Missouri, is home to the ​Titanic Museum, which has a year-round interactive exhibit. Highlights of the museum include a $1 million replica of the boat's grand staircase, an 18-foot scale model of the White Star Line ship, and cabin replicas. The museum tries to make the visit educational for its guests by, for example, giving them the chance to experience a "sloping" deck as the ship sinks and also providing a passenger card that lets you follow the experience of a particular passenger through the tragedy to learn of his or her fate. The Molly Brown House Museum in Denver is where you can learn about the "Unsinkable" Molly Brown, the Titanic's most famous survivor. The museum is located within Brown's actual home and mostly contains exhibits about the woman, her life, and the Victorian era. The Molly Brown House Museum offers regular events that discuss Molly Brown's time on the Titanic.